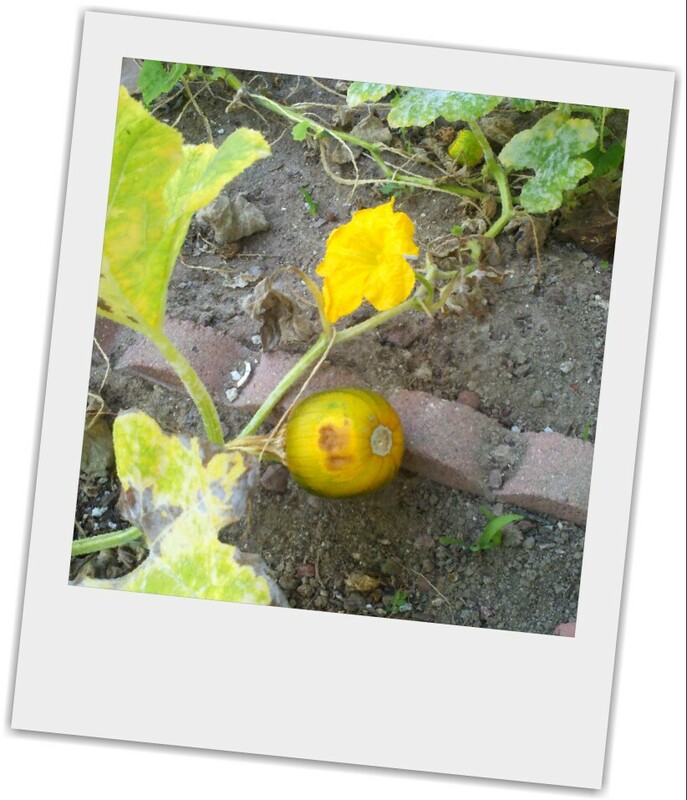 Love from the Kitchen: Tuesday Garden Party - Pumpkin Help Needed! 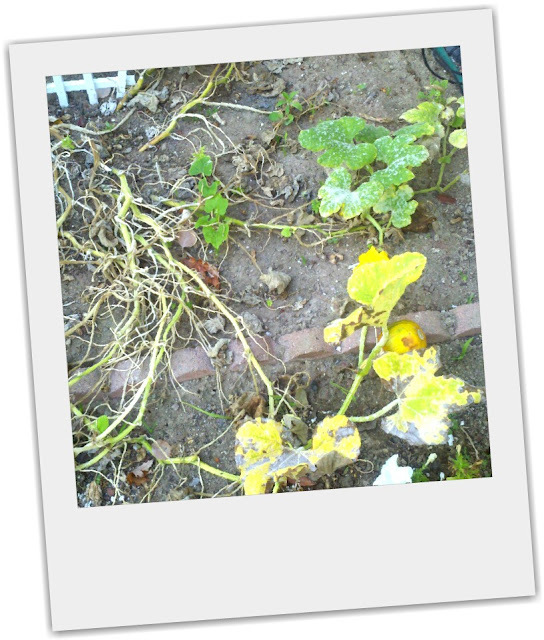 Tuesday Garden Party - Pumpkin Help Needed! My question is - what is happening to them? The plants seem to be growing well, and then they just die. Some of them have this funny dusty-looking stuff. I doubt that is good. Come on back next week to see what another week brings - in the meantime, check out An Oregon Cottage for her weekly Garden Party. Looks like powdery mildew. I think it maybe too late for your plants this year. There's a bunch of commercial products and/or home remedies. I've never tried any of them but I want to say I've read about milk being used for it. But don't quote me on that. LOL! That is definately powery mildew. Squash leaves get it ( badly) when the leaves stay wet. It happens to my plants here in Oreogn at the end of September every year becasue our nights start to cool down and are moist. Soon the plants die from it but by then the squash & pumpkins are totally ripe so it doesn't matter. I am surprised that you would have moisture issues on your squash leaves in San Diego.Are you watering overhead with a sprinkler? If so, you do NOT want to do that. Instead hand water your pumpkins so the leaves stay dry. Hope this helps! Definitely powdery mildew. 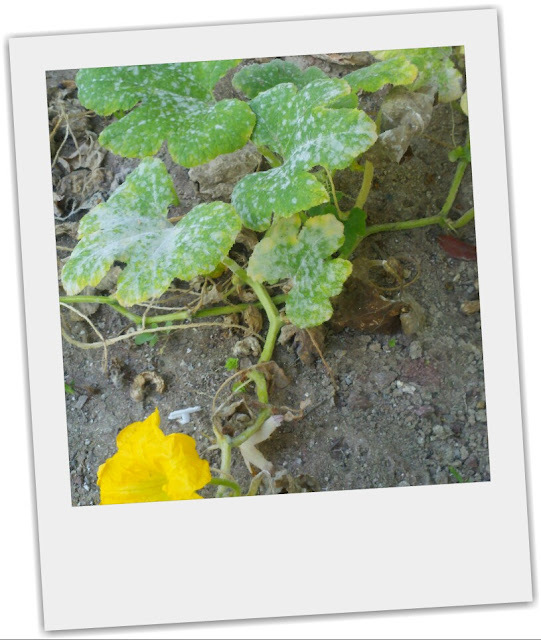 It always affects my squash and pumpkins, as well as cucumbers. I just keep my fingers crossed that I get a harvest before they completely succumb. Next year, at the very first sign, you can try a spray made of 1 part milk to 10 parts water. Another one is corn meal tea...just toss a cup of corn meal into a gallon of water and let it sit overnight. Strain and apply to the leaves. Sometimes you can get lucky, sometimes not. Do you see any bettles beneath the leaves? Because when my roots die but the leaves and remaining pumpkins look fine, that's usually why. Damn bugs.